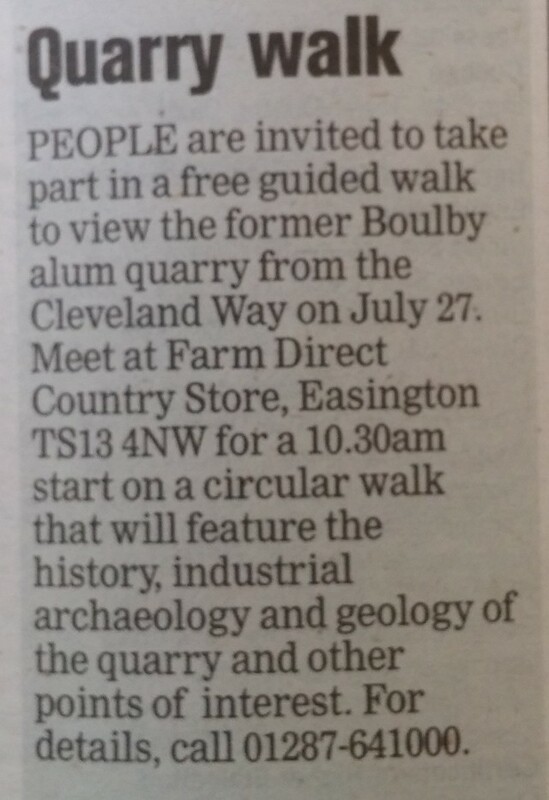 Wednesday 27th July, meets 10:30am at Farm Direct Country Store, Easington. This entry was posted in Alum by chris.twigg. Bookmark the permalink. No idea i’m afraid, I didn’t organise it.